“Make sure you focus on the right things. Apply yourself to your craft. Make art, create music that makes you happy, music that you love… don’t focus on the career side of it so much, if that happens, it happens. Just make sure you love it”. My childhood was very sheltered. I didn’t have any kind of social life outside of school, so I spent most of my time reading books and learning how to play instruments. I figured out fairly early that music came quite naturally to me, so I guess that’s what inspired me the most, just knowing that it’s something that I could do. I learnt the trumpet classically from a young age and my trumpet teacher was my first ‘mentor’ musically speaking. When you left school, was music your main career goal and if so, did you have back up career or course options? I think I always wanted to do music in some way but I was a very shy and unconfident person when I left school, so I didn’t have any idea at all about what that path might look like. All I knew was that I loved to play music, so I did just that. I would sit with a guitar or at a piano for hours and just explore what I could do with the instrument. I studied at university for a little while but my heart was never really in it, I tried various things throughout my late teens and early 20s; in hindsight I realise that I was just doing what I had to do to get by while in the meantime I was ‘learning my craft’ in a way. You played in a band for several years and then changed your career direction for 2 years, working as a youth worker. What pulled you back towards focussing on music as a solo artist? Yeah, I started a band with some of my friends, and it kind of turned into this thing that we all thought we were going to do for a long time, we signed a record deal etc. and things got a bit serious. Long story short- it ended pretty badly and I was left with a pretty sour taste in my mouth in regards to the music industry and I was burnt out. I made the decision to stop making music completely, and threw myself into my job that I’d been juggling with the music side of things. It was a pretty intense field that I worked in, and after a couple of years of only doing that, I started to really feel the absence of what I’d spent most of my life trying to excel at. I started writing music again and that was definitely a turning point in my life. What steps did you take to develop your solo career and what steps did you take to sign with a manager and booking agent? To be honest, I’m terrible at self-promotion. It goes against who I am as a person and so I tend to steer away from social media as much as I can. I’ve always believed that my music and my musicianship should speak for itself. And so by that token I never really sought anything out. I’ve just made sure that I’ve applied myself to always getting better at what I do and always keep learning. It’s been said that people who have really been great in their field have spent at least 10000 hours doing what they do and I think there really is something in that. For me, by the time I was at a point personally where I was ready to really launch into a music career, the other parts fell into place around it, rather than the other way around. I am so incredibly lucky to have an amazing manager and management team. The relationship started purely because I was applying myself to doing what I love, and my now manager witnessed it, and he wanted to work with me. Nothing was forced, it was very natural. And then when it came to booking agents, he already had certain relationships and I trusted his judgement…which is a big part of the management relationship – the trust. Your first single ‘Do You Remember’ feels darker and heavier in comparison to many of your other songs. What frame of mind were you in when you wrote and produced it, and did you imagine at the time how much success you would achieve from your first release? I had no idea. It was something that I wrote and recorded with a producer, Joel Little, when I was spending some time in Los Angeles, and I was feeling pretty overwhelmed by a lot of stuff, a new phase of my life was just beginning and I was getting all nostalgic. It’s an honest song and it came out very easily. There were no expectations, which I think is the best scenario for creating new music. In short period of time, you’ve toured across Australia, released incredible songs and an album, featured on triple j’s Like a Version and Thirty One was a triple j Feature Album, received ARIA nominations and awards, and you recently released your new EP High. Apart from natural talent and a strong work ethic, what do you attribute to your success? Ha well thank you. It’s always a hard question to answer, mostly because I don’t really know. I do think that at least a small part of it is being in the right place at the right time. But also, tied in with that, it’s definitely a culmination of a whole lot of random things and experiences over my life up to this point in my life – and I’m realising more and more that you can’t really choreograph this stuff. Which again leads me back to how important it is to place the most weight on simply applying yourself to being brilliant at what you do. That’s the one thing you really have any control over. That’s what I reckon anyway. 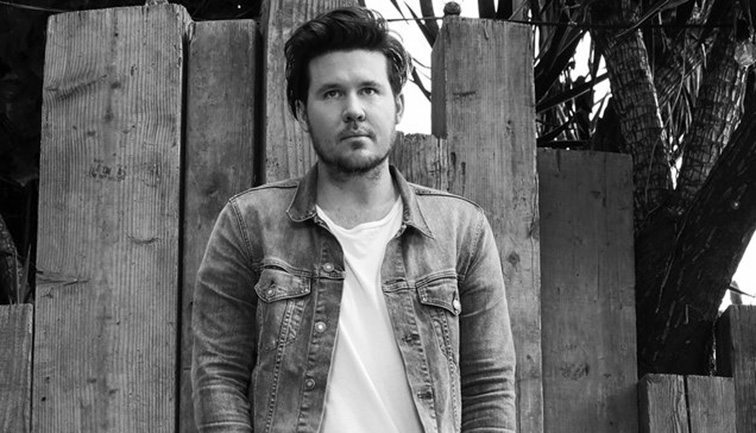 Throughout your career, you have worked alongside respected musicians and industry professionals such as Broods, Angus and Julia Stone, Mikky Ekko and Joel Little. Have there been any particular people you feel have assisted you to further develop your skill set and music techniques? Every single one of those people (and many others) have been a part of how I make music. When you spend all of your time making music and being surrounded by other musicians, you start to really take notice of other people’s processes, and I’m the kind of person who tries to soak it all up and learn from the subtleties that make us all different. We’re all working with the same notes essentially, so it really is amazing that so many unique sounds and feelings etc. can come from that. There’s too many to even recall. Quitting my job was an amazing feeling that I’ll never forget or take for granted. It’s always incredible when you get feedback about your own music from other musicians that you look up to. I got a call one day last year from Elton John who invited me to his concert because he is a fan of my album and he wanted to ask me if he could get it on vinyl. Touring Europe is amazing. And getting to play to people from the other side of the planet who are into my music is the craziest feeling. I’m going to Stockholm in a few weeks to do some writing and recording. Really looking forward to that. I feel like one of the luckiest people alive. To be able to turn what I love doing into how I make a living, that’s better than winning the lottery in my opinion. Fulfilment comes from knowing that I’m a part of people’s lives. My music is in their homes and in their cars and workplaces. That’s what I find most special, and it really does keep me motivated to continue. It’s a tough thing to give advice on. All I’d say is, again, to make sure you focus on the right things. Apply yourself to your craft. Make art, create music that makes you happy, music that you love… don’t focus on the career side of it so much, if that happens, it happens. Just make sure you love it. I’m just talking from my own limited experience. There are plenty of other areas of the music industry too, from tour managers to stage techs to sound engineers. I know plenty of people who started out in one area and then found their niche in a different one. To students who are still in school, or who have recently graduated, what do you suggest they should be doing now to develop their career? Just create stuff. Be honest with yourself about what you want your music to sound and feel like, and just make it. Experiment, listen to as much music as you can, learn how to record, read books, jam with your friends, don’t take yourself too seriously, don’t try to make ‘cool’ music. I guess what I’m trying to say is – surround yourself with people and things that will make you feel creative and inspired. That will be infinitely more valuable to you than anything else. Just my opinion there.